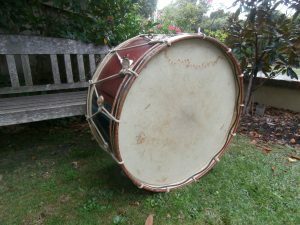 In 2013, during a clean out of the bandroom, a bass drum with a broken skin which had been out of use and stored since the 1960’s was unearthed. Upon closer inspection, we were amazed to find five inscriptions written by WW1 soldiers. 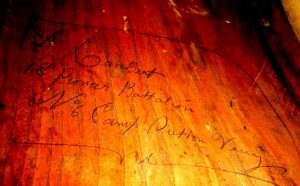 The inscriptions indicate the drum was used at the Australian training camps at Fovant and Sutton Veny on Salisbury Plain, UK, during WW1. Research of the soldier’s WW1 service records found that, following their training on Salisbury Plain, they all served on the Western front. One of the men, No 2133 Alexander Lambert, was killed in action on 30 August 1917. The discovery of the WW1 bass drum inspired the band to develop a special project to commemorate the 100th anniversary of WW1. To this end the band commissioned a major musical work titled “The Silent Anzac” based on the exploits of the Australian submarine AE2 which was the first vessel to penetrate the Dardanelles on the morning of the 25th April 1915. 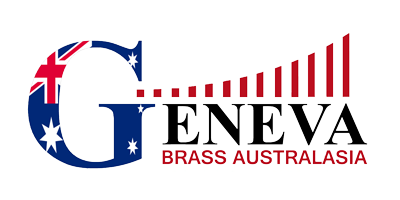 The band has developed a show that provides a special and moving commemoration of the Australian’s who made the ultimate sacrifice. The title for the show was also chosen as “The Silent Anzac” as this represents all those service men and women who did not return. This show has been performed for Remembrance Day 2015 and 2016 to much acclaim. In October 2017 the band undertook a professional recording of the show and a CD was subsequently released in mid 2018.